Top 10 Eco-Conscious Influencers — CROWD. It’s top ten time again! For as long as social media platforms like Facebook and Instagram have been around, they’ve been a popular medium for voicing opinions and showcasing lifestyle movements. 2018 saw a huge boom in searches regarding sustainability, veganism, and eco-consciousness. With the trend expected to make more headway in 2019, we’ve compiled ten of the top eco influencers to look out for below. Kristina Bucaram, better known by her online moniker Fully Raw Kristina, sports 2 million followers on Instagram and YouTube. A pioneer of the raw food subset of veganism, she can attribute her following to her bright personality and drool-worthy vegan recipes. Weldon, known as “Zero Waste Nerd” on Insta, comes in at 60.7k followers. With a tidy, minimalist aesthetic, she shares zero-waste and energy efficiency tips with her audience. Another highly popular zero waste aficionado, Lauren Singer (aka Trash is for Tossers), shares her lifestyle with an audience of 277k. The environmental studies major is also the CEO of two waste-free initiative companies, Package Free and The Simply Co.
Irish actress Evanna Lynch, perhaps best known for portraying Luna Lovegood in the Harry Potter films, now shares more animal rights related content with her 1.9 million followers. A staunch vegan, she also cohosts a popular vegan lifestyle podcast called The Chickpeeps. Claire Buchanan of the blog “Cruelty Free With Me” shares all things eco-conscious with her 21.6k followers. From vegan recipes to cruelty-free makeup brands, the boxing instructor is a one-stop shop for anyone looking to incorporate more sustainability into their lifestyle. On the more fashion-centric front, Tashina Combs of blog Logical Harmony reviews and vets cruelty-free products for her 37.6k strong fanbase. She also has a popular YouTube channel of the same name. The founder of platform Melanin and Sustainable Style, Dominique Drakeford brings a ray of diversity to the eco-conscious blogosphere. Her website produces original, thought-provoking content, and it’s following spills over to her Instagram with a following of 16.5k. 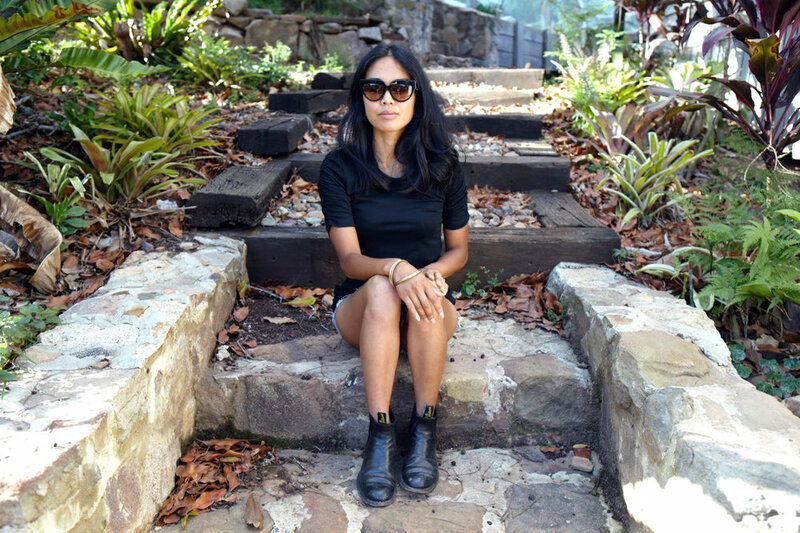 Jennifer Nini is the founder of sustainable media brand Eco Warrior Princess. With a focus on sustainable fashion, green tech, and social justice, her platform boasts 32.9k followers. With a similarly sized following coming in at 37.6k, Dana Murray of Babe + Beauty focuses her content on green and cruelty-free beauty. The licensed esthetician has a trendy, pastel aesthetic to showcase her tips and beauty picks. With 85.9k, Natalie Kay’s handle Sustainably Chic proves the growing trend of people seeking out more sustainable options for beauty and fashion. The new mothers page houses dreamy fashion pics and eco-conscious products.